The concept of innovative companies have gained strength in the 20th century in all the industrialisation process in a global level. It is not a new concept, but a concept which appears with the industrialisation. As it is known, the industrialisation was born with the so-called “Industrial Revolution”, when in 1820 and 1840 a new movement appears, which would revolutionise all the business system, starting from Great Britain and arriving strongly to the whole world during the following decades. During this period there was a series of economic, technological and social transformations, which created an ideal ground to the strengthening of all the business sector with a revolution which had been never experienced in other periods. This revolution had the goal of increasing the income per capita, a fact never experimented before, reaching a period of unbelievable transformation for a more industrial organization, leaving the hard times of forced manual work behind and giving way for the machinery to make a radical change in the global organization chart. The industrial manufacturing started experimenting the expected change, and the textile industry and the coal mining were the main industries which started the desired change, toward an ascending urban growth due to the construction of railways, canals or motorways, which connected fast and sustainably different parts between cities and countries. With the steam engine and later the electric power a revolution never experienced before was achieved, which would benefit all the existing companies and strengthen the appearance of sectors which would gain importance over months, years and decades. What is an innovative company? The term innovation started from the necessity of adapting your products or services that your clients require in a new modernity context, and you should improve the production mechanism to give the final client the latest on the market, from this point appear the so-called innovative companies. These are the ones which are continuingly adapting themselves to the market necessities, the possible economic fluctuations or the tendency changes supporting the passage of time in a continuous product manufacturing make this businesses be considered with a high innovative potential. In the recent decades the innovative companies have been distinguished from the others due to the adaptation power in times of crisis, carry out a new approach in the production or diversify different necessary services for the client to fill a gap which no one so far filled for them. Paying attention to all the changes and take advantage of different situations which can arise during the industry processes, make that millions of businesses do not be lost along the way, keeping afloat during hard times which, however, other businesses cannot stand and end up closing its doors. The theory is completely understandable, putting it into practice it the most difficult point due to the great continuous necessity of investment in innovation by the companies to be continuously actualised and not lose part of its objective public or attract new markets to its businesses. The innovation is not an easy path but it is proven that in order to any business to endure during decades, they have to invest a great part of budget on it. Where can I locate innovative companies? We know that there are hundreds of industrial zones where a high percentage of innovative companies can be found. They accomplish the explained above, but in IbiLonjaVirtual you know first-hand that one of the most important industry zones of the Valencian Community, and therefore of Spain, are located in our cities, Ibi, Castalla, Onil and Alcoy. Cities located in the interior of the province of Alicante, where there is an education from the earliest age focused on the innovation, to continuously overcome uncertainties in the path to turn around the situation and can be adapted day-to-day to fill hundreds of necessities for the whole market of the province, the community, Spain, Europe and a great part of the world. 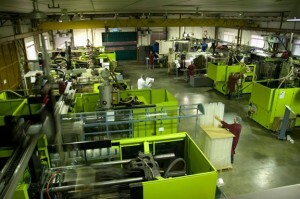 Currently the conglomeration of companies of the interior of Alicante can locate innovative companies working and specialised in the plastic injection, metal processing, mould making, textile engineering, wood products, etc… A great region in where any client of any part of the world can locate the production process required by their company to meet the needs. We have more tan 400 industry processes in which we are specialists with decades of experience, overcoming the 100 years in most of them. These processes make new concepts and products to be created in Ibi, Castalla, Onil and Alcoy along the year to manufacture innovative products which end up becoming important patents within the international scene. In IbiLonjaVirtual we are convinced that a growth is not the result of a single moment in a business or a decision, although there are exceptions, the company growth is reinforced by the great labour obtained by commit during years to achieve certain goals and especially having an innovation base, in the broadest sense of the word. In order to the Company not to cease to forge ahead within its sector it is important to reinforce, for example, with a RDI department (Research, Development and Innovation) where there are specialists trying to get industry equipment which have been not invented yet or products manufactured form a single thought or intention. Investing in RDI and being patient in the monitoring of the efforts, results could be achieved to be distinguished from the competition and thus distance yourself in the great desert in which you would be constantly absorbed from not taking this decisions. Supporting the research involve certain risks, but it has been proven that medium-long term that that research will take you to the new functions development, creating an innovative company which could be sustained over time, either when difficult times come or when you just have to reap the benefits of the efforts.